We are one of many regional branches that form part of the national organisation, CAMRA (the Campaign for Real Ale). We focus on promoting real ale, cider and perry in our area. Contrary to certain myths, we are not paid staff, but a group of enthusiastic volunteers who do this in our spare time. We became a full branch in our own right in December 2012 having previously been a sub-branch of Derby. 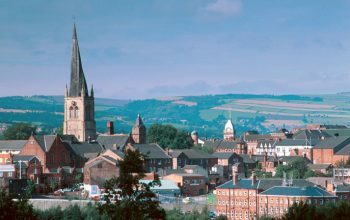 We cover a wide area of villages and rural communities within Amber Valley and incorporate the three main towns of Belper, Ripley and Alfreton. We undertake various functions and activities from pub campaigning and beer surveys to organising and running our own annual beer festival and helping other branches with theirs. One of the regular social activities is a monthly survey trip by minibus which enables members to visit some of the more remote pubs in our area. 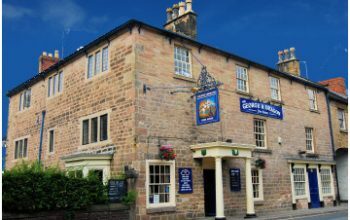 The purpose of the trips is for members to meet up and enjoy social drinking with a group of like-minded people and also to collect scores for the National Beer Scoring Survey (which helps decide which pubs are entered into the Good Beer Guide). We also encourage members to input their own scores for beers at any time via the What Pub website or phone app. For those who prefer the outdoors, we have occasional Sunday afternoon “Amber Rambles” around the local countryside, obviously calling at a few real ale pubs along the way, and also Saturday afternoon pub crawls around towns and cities such as Derby, Nottingham, Chesterfield, Burton and Sheffield. We hold monthly branch meetings at different pubs where we discuss pub news, what's happening in our area and things we can do to help promote real ale locally. All members are welcome to attend these meetings. We organise an annual competition to choose the Amber Valley Pub of the Year which all members are encouraged to participate in by nominating their favourite pubs and also to take part in the judging if they wish to do so. In line with national CAMRA promotions, we also encourage the pubs in our area, and our members, to take part in competitions and trails to promote specific drinks at specific times of the year, such as our Cider Trails, Mild Trails in May and our Winter Ales Competitions.. The main event of our year is always the Amber Valley Real Ale and Cider Festival and our ninth one took place in September 2018 at Strutts in Belper. It was a success and our monthly planning meetings for this year's event have started. We encourage you to get involved in whatever capacity you are able to as we run it as volunteers and always appreciate your input or an extra pair of hands to share the workload. All members are welcome to attend any of the meetings or events outlined above. As social surveys are done via minibus trip and places are limited you need to book your place in advance by contacting our social secretary, Trevor Spencer - details can be found on the “contact us” page. If you have any feedback on our website then please contact our Webmaster, Caroline Banks at webmaster@ambervalley.camra.org.uk.